SureMountain delivers a range of solid wall insulation services to enhance thermal comfort, reduce air leakages and thermal bridges. 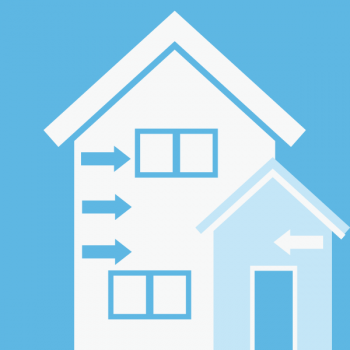 Our solid wall insulation options may include external wall insulation or an internal wall specification. SureMountain is committed to exceptional service delivery standards and offer a project management solution from the initial property assessment through to implementation and installation. Our solid wall insulation services work in tandem with our construction, maintenance and energy saving solutions to ensure our clients have an all-inclusive range of options. SureMountain take pride in our service delivery, which consistently offers an incomparable return on investment. External wall insulation systems are installed on the external fabric of an existing property, or new construction. Our clients will then have the choice of how the system is finished and this may include a render coat, brick slips, timber boards or tiles. External wall insulation should not be specified to hide moisture penetration or deal with any damp problems on an existing property. SureMountain always operate in accordance with Building Regulations and as such our proposals will be guided by these instructions. During the construction of new solid walls it is of paramount importance that moisture ingress is prevented. SureMountain solutions ensure that moisture does not penetrate to the inside of the property. 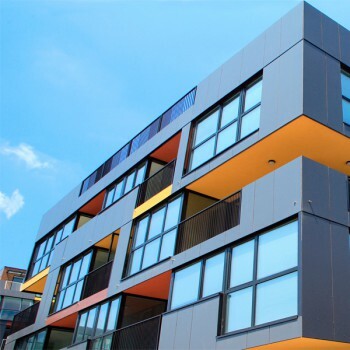 External wall insulation systems can dramatically improve the appearance of the external façade. This is an important consideration when ensuring that the aesthetics of the property are upheld to appropriate standards. Window sills, jambs, rainwater areas and roof eaves should be assessed during the structural adaptations. While there are a number of items to consider, with an external wall insulation system the level of thermal performance to be achieved and the most applicable finish are the most important for SureMountain clients. We always stress other key factors that need to be considered in the specification of insulation such as acoustic performance, moisture protection and crucially, fire safety. A SureMountain internal wall insulation system delivers comfortable room temperatures more quickly than external wall insulation solutions. 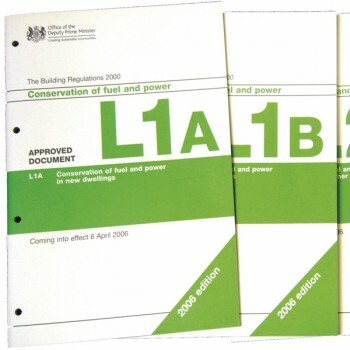 In fact heating time periods can be reduced dramatically, especially in irregularly heated properties. 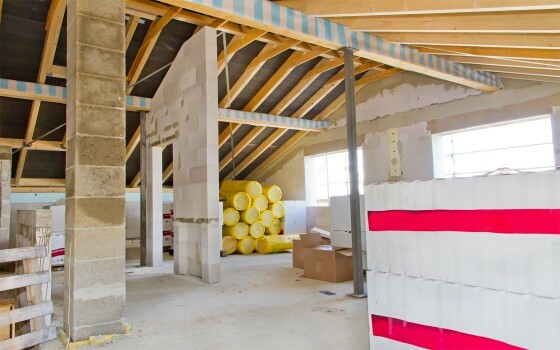 SureMountain solid wall insulation services are part of an array of energy efficiency measures that can be applied to existing buildings and new construction. SureMountain never deliver off-the-shelf packages for our clients, we implement tailored designs that work with the particular fabric of the building and the energy use of the property. We continue to pay particular attention to fire safety, acoustic design and the implementation of sustainable products and services which help to improve our client’s energy efficiency for the long-term. With an external wall insulation system it is able to utilise the thermal mass of the wall which in turn offers fewer peaks and troughs internally. For many of SureMountain‘s largest clients this is particularly beneficial. Hospitals and retirement homes typically have heating on continuously, so these kind of systems allow the heating to be turned down overnight. The energy that is efficiently absorbed by the wall during the day is released back into the property overnight. 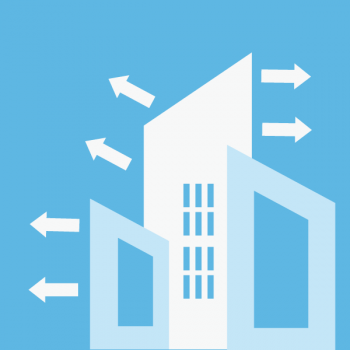 Much of our current building stock suffers from excessive air leakage and if not treated, this can lead to high energy costs. Furthermore, we have also found that it leads to occupant discomfort through a reduction in indoor air quality, draughts and external noise. The installation of external wall insulation as can deliver an airtight structure and reduce draughts. Our experienced team will plan a system which reduces heat loss through cracks and gaps in the building. SureMountain insulation specifications ensure that thermal bridging is reduced dramatically as part of retrofit projects. Thermal bridging can be almost eradicated in new construction by installing external wall insulation and therefore an extra layer around the building.